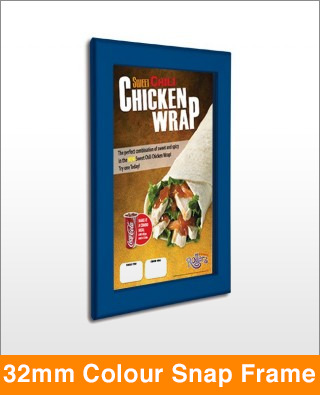 The wider 32mm profile make these frames a medium to heavy duty solution suitable for indoor use and outdoor applications (laminated poster required for outdoor use). The wider profile make these the right solution for larger frame sizes. Available in 17 colours including 3 anodised, 12 powder coated and 2 wood grain finishes.